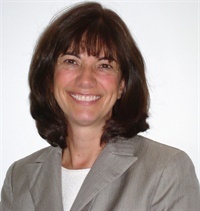 Diane Hubisz, MBA, has been the Practice Administrator at New England Orthopedic Specialists for almost five years. During that time, the practice has expanded its number of physicians and mid-level providers. Her accomplishments also include implementing a new PMS/EMR, and revising the physician compensation plan. She has many years of prior experience in hospital administration and practice management in both community and academic settings. She recently became a member of the AAOE Data Analytics & Benchmarking Council.